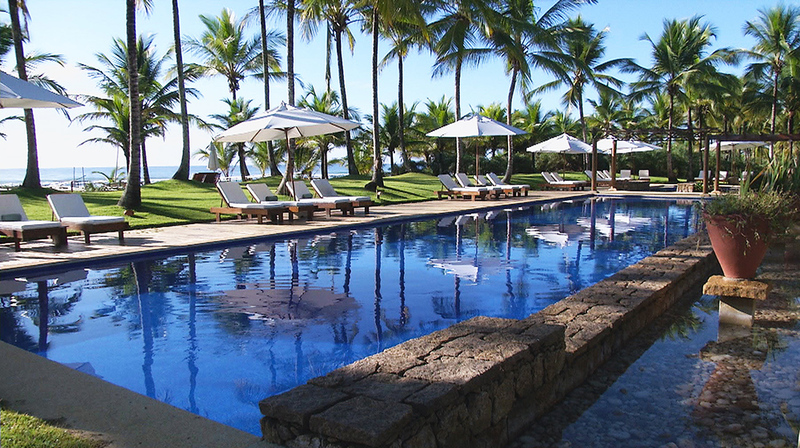 Bahia is synonymous of stress-free and sunshine, two things very sought after in a vacation. This itinerary will give you three different experiences within this region of Brazil by checking-out the cultural birth of the country in Salvador, the waterfalls, rivers, canyons and caves of Chapada Diamantina and white-sand beaches lined with coconut palms close to Itacaré. Arrive in Salvador, the most African of all Brazilian cities, considered the cultural capital of our country! Its people present a unique ethnic and cultural diversity, rarely found in the world today. Fly to Chapada Diamantina already in your trekking gear! This is the ideal destination for those who like long walks in nature. Your guide will be waiting for you for the most stunning introduction to the region: a light trek up the iconic Morro do Pai Inácio, the most famous of all views of this region. Finish with a visit of the Gruta Lapa Doce, a beautiful cave formation. A day dedicated to explorations! According to how much you like to walk, choose the best trek. Our favorites are the Roncador, the Cachoeira do Sossego or Cachoeira da Fumaça . A last morning to enjoy another waterfall before heading towards the airport. The Poço do Diabo (our Devi’s pool), has a great natural pool to swim in and the bravest can jump of the cliffs that surround the waterfall. Make your way to Ilheus and then quick drive to Itacaré. Itacaré has some of the most beautiful beaches of Bahia and can be great for surf or for long bike rides along the beach. Over the next few days you will enjoy Txai, one of the best beach resorts in the country. Days at leisure to relax and enjoy the sunlight in Itacaré! The region nearby the Txai resort has great trails and waterfalls, shall you want to diversify with the beach in front of the hotel, one of the most amazing ones of Bahia, by the way. Transfer to the airport of Ilheus and fly to your international departure. 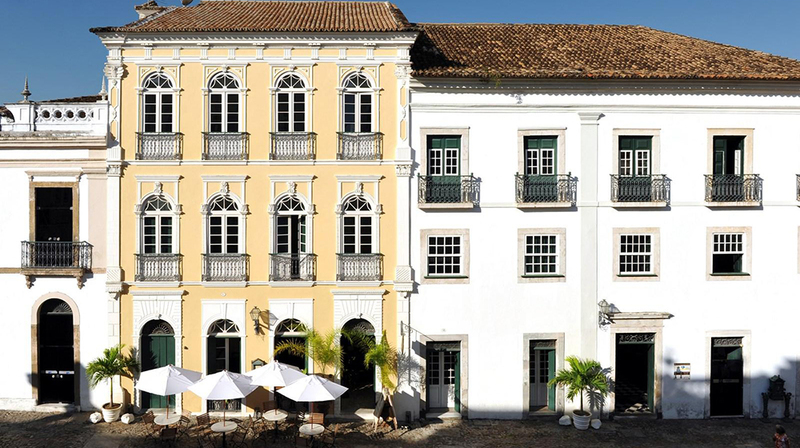 Villa Bahia comprises two antique colonial manors in the Pelourinho historical district of Salvador, preserving the original spirit of the town. Social areas are peaceful and beautiful, and each room is unique and reflects a particular period in Bahia's history. 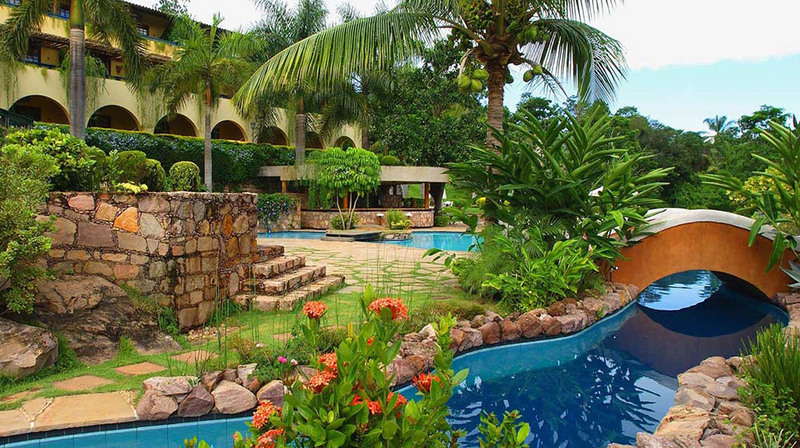 Our favourite hotel in Chapada Diamantina has a charming colonial style with local artisan’s wood and ceramic crafts. With a beautiful view over the Lençóis River and within walking distance from the historic city center, this is the best place for you to start your adventure through the Chapada. Txai is known to be one of Brazil’s foremost small beach resorts, with superb private bungalows and elegant and discrete facilities, including an exquisite Spa. 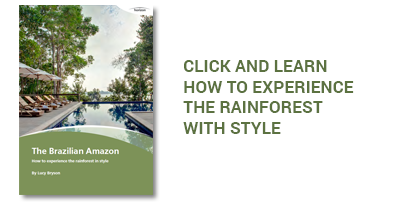 This property surely benefits from its location: nature activities, such as trails in the rainforest and canoeing in the rivers are a must.